The SJ8 Series Come In 2 Box Sizes! So you’ve seen our post about how incredibly gorgeous the SJ8 Series LCD screens are (blogpost link here), and you’re already excited. Well, you need to make a decision: to either get the smaller camera-only box, or get the full-set. 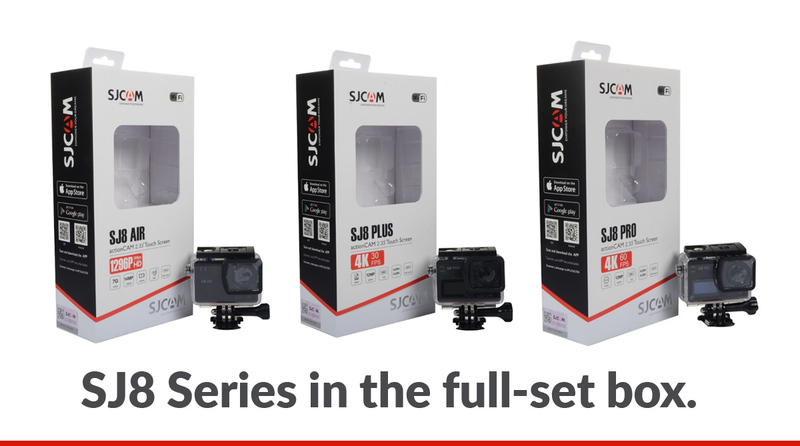 the SJ8 Series is available in a small camera-only box. In this, the SJ8 unit of your choice just comes with a charging cable, a manual, a lens cleaning cloth, waterproof SJCAM stickers, and a soft silicone lens cap. Yes, you have the option to purchase just the camera alone. And for those who want everything, you can get the SJ8 model of your choice in the full-set box. It comes with the same things as previous models’ inclusions like waterproof case, touchscreen-capable backdoor replacement, bike handlebar mount, helmet mount, rotating flat-surface mount, extensions and accompanying thumbscrews, charging/data-transfer cable, cleaning cloth, manual, soft silicone lens cap, and waterproof SJCAM stickers. This is most useful for people who are into sports, and need the additional proctection and flexibility in mounting their cameras. The waterproof case allows for the SJ8 cameras go as far down as 30 meters underwater, and can prove useful to keep out dust, snow, or other debris from getting to the lens and camera internals. SJCAM SJ8 SERIES is available on pre-order today! 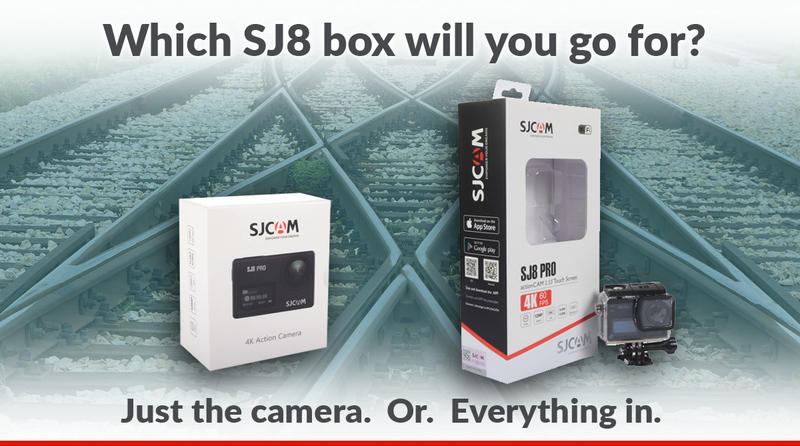 You can pre-order your SJ8 camera at the official SJCAM website, or CLICK HERE to get more details on the new SJ8 Series.